A "big band" by almost any standard, the Traction line-up numbered 14 at one point! Formed from the ashes of dynamic Birmingham R&B group The Yamps, Traction was a brave attempt at bringing a big sound to the stage. The band also featured well-known Brum vocalist Brenda Bosworth. 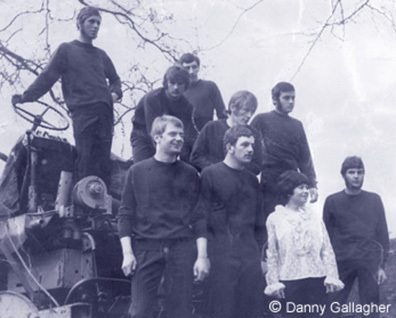 By the autumn of 1966, The Yamps who had been playing for three years together found themselves trapped playing the same old gigs over and over again or supporting bigger name bands but couldn't see that anything better would appear on the horizon for them. "We had our chances earlier on in our partnership to have become a much bigger group but it was kind of squandered" remembers guitarist Will Hammond. "Music styles were changing and like every ambitious band we thought we should call it a day as that group." A decision was taken by all members of the band that enough was enough and they announced their own demise. Their epitaph from the Midland Beat newspaper read "Yamps R.I.P." There were no plans to physically disband, simply give themselves a breathing space where they could drop the material they now found themselves playing and re-form with a new identity. Malcolm Palmer who had left the Yamps before the actual disbandment came back. During his absence he had changed instruments from guitar to tenor saxophone. Said Will Hammond; "We all met up at a pub about 50 yards down the road from The Cedar Club where we had made arrangements to use the old ballroom upstairs as a permanent practice hall to get a new act together. We had no name and no idea of what we were actually going to play but knew that we played well together so I think we just sort of jammed for a week or so trying to see a new way forward." Meanwhile the job of finding some other brass players to form a horn section continued. Will Hammond remembers; "Every time we had a rehearsal, Malcolm would turn up with yet another couple of players until at one point we had ten! There were so many musicians coming and going in those early days that it would be impossible for me to accredit them all to Traction but probably half of Brum." 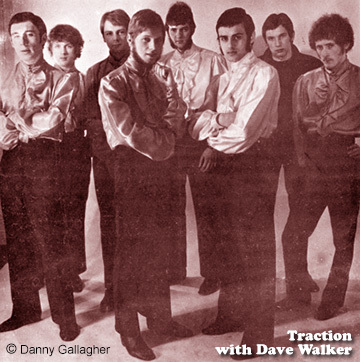 Within a short time the band had re-named themselves "Traction" and were on the road, with a fluctuating brass section of four or five. 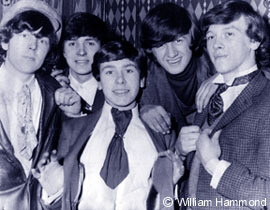 It wasn't long before Will Hammond began to have second thoughts about the group. 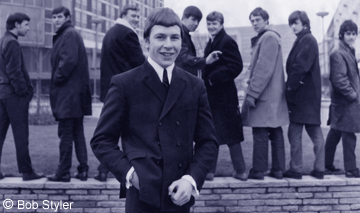 Will Hammond; "Apart from the fact that you couldn't earn any money because there were just too many people to pay, the music we were playing was heading in a soul music direction that I definitely didn't want to be a part of and was looking for a way out of the band." "I thought we were going to be a sort of 'Paul Butterfield Blues Band' or something although I did like playing the Sam and Dave material. When I got the offer to join The Uglys, I naturally leapt at the chance." Leigh Higginson decided that he wanted to move on also and left the band at the same time, the departing pair being replaced by long time pals Keith Poulton (guitar) and Danny Gallagher (The Solitaires) on bass. The band now moved into a full soul group mode and "Little Miss Dynamite" Brenda Bosworth, who was one of the finest singers of her time, came in on vocals to replace the departing Bobby Styler. They attracted a good following and were a popular band on the soul circuit. However, the numbers of band players had now risen to 14! Danny Gallagher remembered; "We were on stage playing one night and Phil Brittle shouted to me, "Do you know who that bloke is over there?" (looking at one of the brass line up). It was hilarious. We had to have two PA systems - one for vocals and one for brass!" Interest in recording the group came from no less than George Martin, The Beatles legendary producer and Traction were invited to Abbey Road to do a session. Unfortunately for the group, things did not go as well as they hoped. Danny Gallagher; "George Martin showed a real interest in Brenda's voice rather than the group though." Malcolm Palmer recalled; "It didn't help things either when Phil turned up late." Not surprisingly, after the Abbey Road session there was some discontent and relationships within the band imploded causing founder member Malcolm Palmer to leave. Brenda Bosworth also left the group and she was replaced by Luddy Samms, a great soul singer. As the direction of the band changed, he in turn, was replaced by Dave Walker from The Redcaps who also soon departed to the famous "Savoy Brown Blues Band", Phil Savage taking over on vocal duties. Gerry Earsdon replaced Keith Poulton on guitar and shortly after, the group finally split with Danny, Phil and Gerry going on to form Frosty Moses. Thanks to Danny Gallagher, Will Hammond, and Malcolm Palmer for supplying this official Traction biography.